For the 9th best moment in ETSU basketball history I’ve decided to go with Calvin Talford winning the 1992 NCAA Slam Dunk contest. While it wasn’t a team effort that made #9, unlike #10, it was certainly one of the most memorable moments for a lot of Buc fans. Calvin Talford is one of the all-time great ETSU basketball players and to watch him dominate a field of talented athletes in the ’92 Slam Dunk contest was very impressive. Calvin’s first two dunks were somewhat modest compared to what some of the other contestants attempted at the start. However, that was all part of his plan, to start out small and end big, or as Calvin said in his post-dunk interview “save the best for last”, and that he did. By the time the contest was all over the results weren’t even close with Talford taking in 89% of the first place votes. As a Buc fan it was also fun to listen to the excitement of Jimmy V and the other ESPN commentator after each of Talford’s dunks and as Talford advanced the more excited they got. I’ve included a video at the top of this post with all of Talford’s dunks from the contest. It still never gets old watching Talford perform. Keep checking back this week as I’ll continue to count down the top 10 moments in ETSU basketball history. Over the next couple of weeks I’ll be writing a short series of blog posts on top the 10 moments in ETSU basketball history over the last 30 years. Inspired by a post on the ETSU fans forum I thought it would be fun to make my own list here on ETSU Hoops. Rather than doing a list of the complete history of East Tennessee State basketball I decided to go with just the last 30 years since that’s about how long I’ve been following ETSU basketball. I’ll be start at #10 and count down from there. Feel free to comment below and tell us your favorite moments in ETSU basketball history. For #10 I decided to go with the 2009 A-Sun Championship. 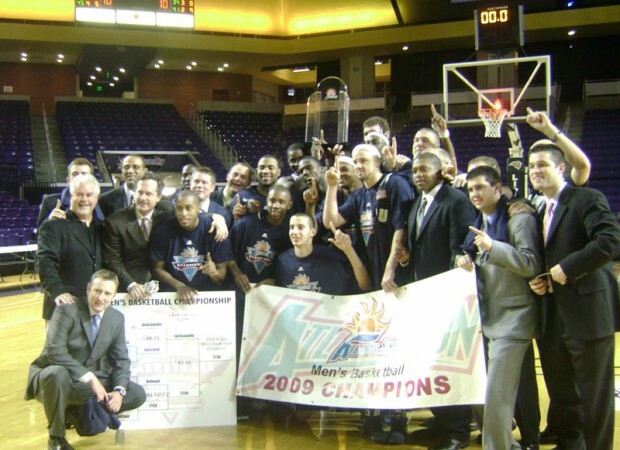 2009 was the fourth season in the A-Sun for ETSU and the previous 3 season had not ended with an A-Sun championship and I believe that was both a surprise and disappointment for many ETSU basketball fans, especially with how the previous two seasons ended. In 2008 an awful technical foul call against ETSU’s Kenyona Swader in the semi-finals against Belmont ended the Bucs season and in 2007 the Bucs had won the regular season title and had Belmont in the dome for the A-Sun title but lost by 27 points after a barrage of 3-points from Belmont. 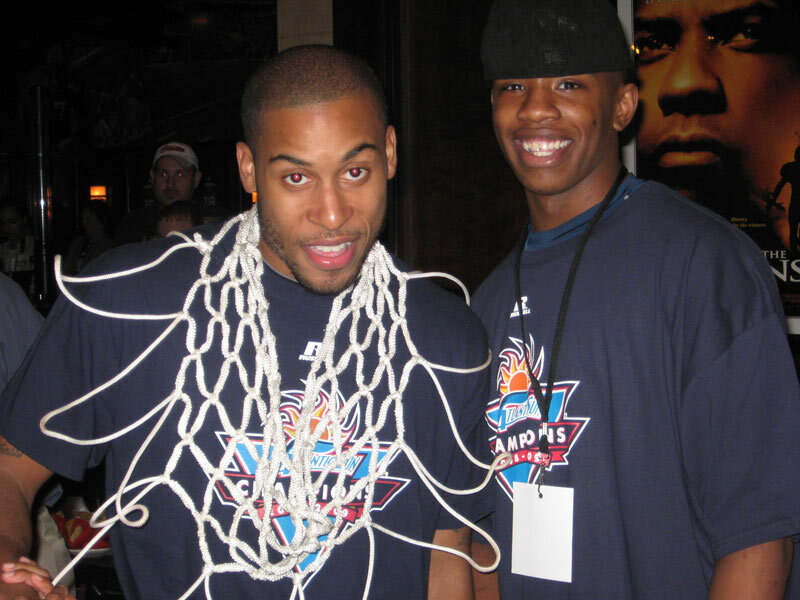 So for the reasons above I believe it made the 2009 A-Sun Championship extra special. It was also Courntey Pigram’s and Kevin Tiggs senior season and for Pigram it was his fourth year with the Bucs and we all know how badly he wanted the championship for him and the rest of his team. The Bucs did not disappoint as they won by an average of 15 points in 3 games of the A-Sun tournament, including 85-68 win against Jacksonville in the championship. After winning their first of two A-Sun titles, the Bucs went on to face #1 seeded Pittsburgh in the first round of the NCAA tournament. The Bucs held their own and gave Pittsburgh all they could handle, including briefly leading at one point during the 2nd half, before eventually falling to Pitt by the score of 72-62. I’ll end with some highlights from the 2009 season and from the NCAA tournament game against Pittsburgh. Keep checking back this week as I’ll continue to count down the top 10 moments in ETSU basketball history.